The HF-200, HF-300, and HF-400 series has been discontinued. Please contact our Temperature Engineering department for a viable replacement. Housing is heavy-gauge steel with handle and rubber feet.Finish is heat-resistant green Hammerloid. Overheat protection. All heaters have integral, automatic thermal cutout. DC heaters are equipped with a DC magnetic contactor with thermal cutout wired in series with holding coil. Cord and plug. 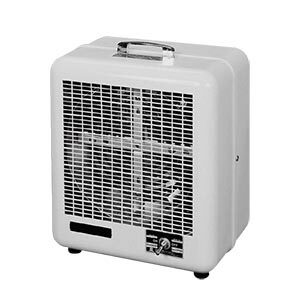 AC and DC HF heaters are supplied with 6-ft. cord and grounded polarized plug except 240VDC HF-403D DC, 120VAC HF-303AC and 120VDC HF-303D DC.